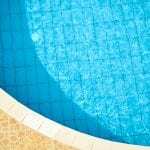 Contact us today to learn more about our swimming pool services and supplies. If you are looking for solutions when it comes to swimming pool maintenance or you are concerned that you need professional help because your spa equipment isn’t working, then you need our experienced team at Cayman Pool & Spa! We have over a decade of experience providing hot tub, spa, and swimming pool services and supplies for our customers, so finding the solutions you need has never been easier than a phone call to us. You can also stop in at one of our two convenient locations in Mooresville or Concord, North Carolina, and we’ll be happy to discuss your needs. We look forward to assisting you!